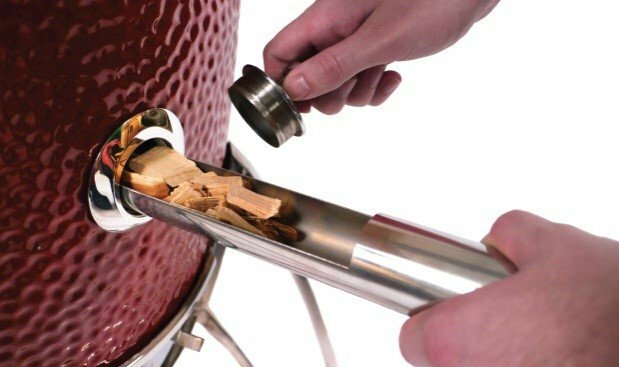 Saffire makes it convenient to add the perfect amount of smoke to your barbecue with the patent pending Smokin’ Chip Feeder. 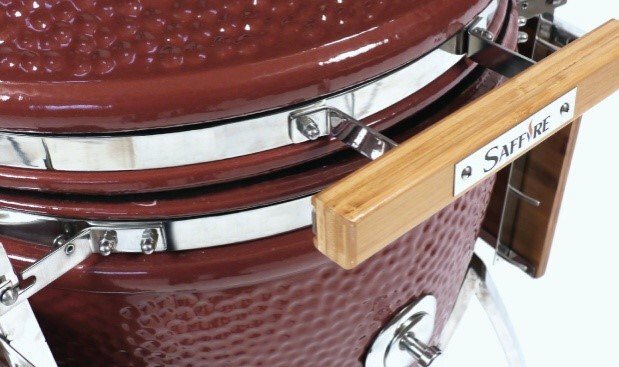 Saffire uses the biggest, thickest metal on the hinge, bands, cart and hardware. This provides strength, stability and longevity. 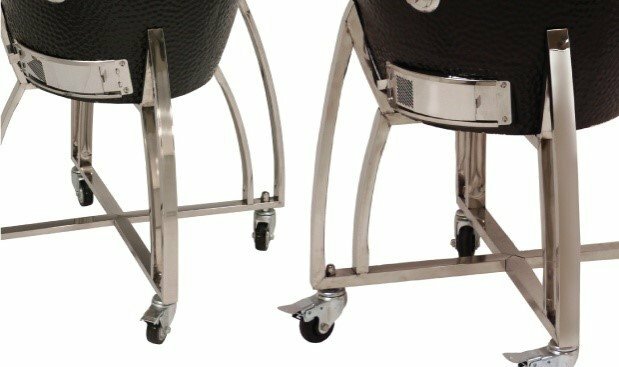 The Platinum Series uses the finest 304 stainless steel while the Bronze series uses powder coated galvanized steel. 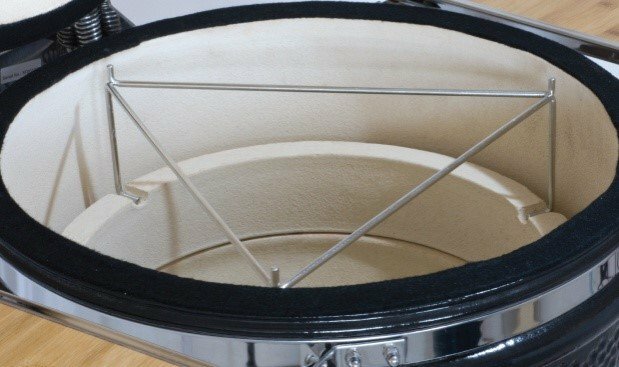 The heavy gauge tubular design is extremely sturdy without being cumbersome to handle. Includes Bamboo Side Shelves with Stainless Steel Tool hooks & Towel bar. 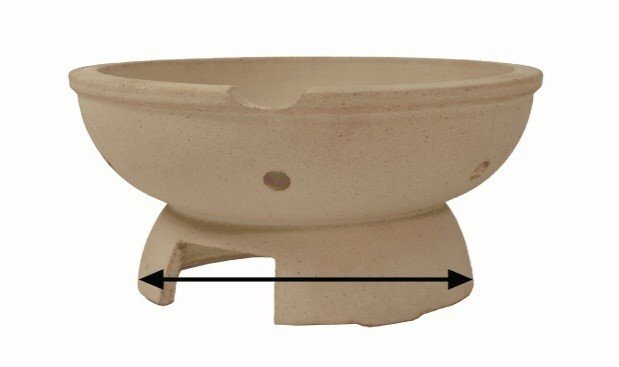 The extra wide base on the bottom of the firebox means the interior components are more stable. The larger area also leaves more room for ash and less cleaning. Use any type of spatula or cooking utensil without having to worry about chipping or scratching porcelain. The bars on the grid were placed closer together to help prevent food from falling through. Access Door provides access to the fire without removing the cooking grid. 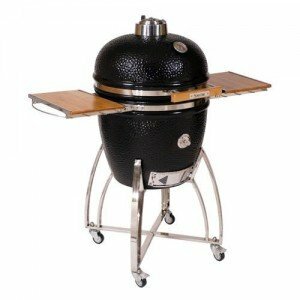 The Saffire Grill can be built in which makes the cooking area closer to the countertop height. The hinge does not pivot downward so it requires a special cut out or the grill to be elevated. 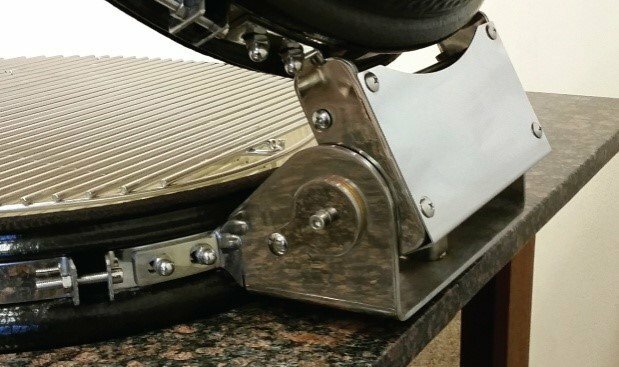 Elevates the cooking grid and pizza stone up to the top edge of the grill. Provides easier access to food. Allows use of a pizza peel when cooking pizza. An original invention by Saffire! 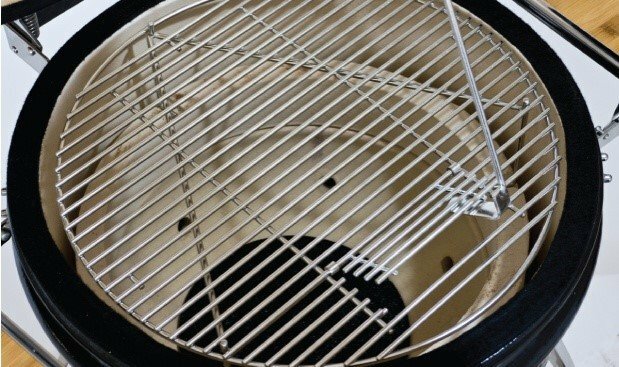 The stainless steel plate under the grate reduces heat loss from the bottom of the grill. Also makes it safe on combustibles with the Build Kit. 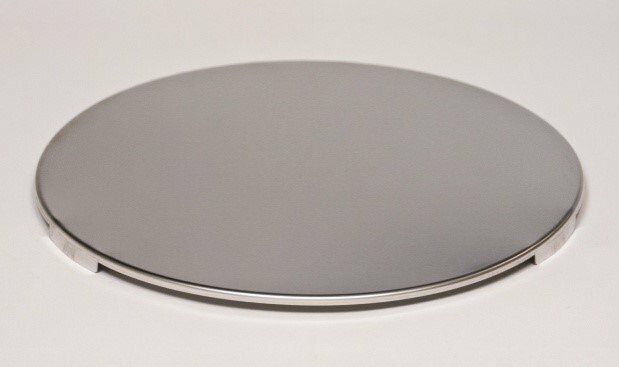 Made of solid 304 Cast Stainless Steel! 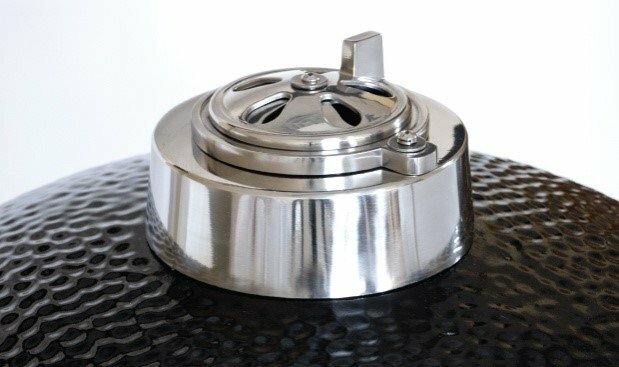 Allows precision adjustment of airflow and grill temperature.